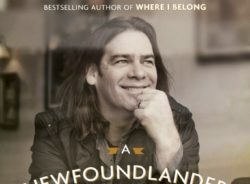 Following the fantastic success of his bestselling memoir, Where I Belong, former Great Big Sea front man Alan Doyle returns with a hilarious, heartwarming account of leaving Newfoundland and discovering Canada for the first time. Doyle will discuss and sign A Newfoundlander in Canada: Always Going Somewhere, Always Coming Home ($27.00 Doubleday). Armed with the same personable, candid style found in his first book, Doyle turns his perspective outward from Petty Harbour toward mainland Canada, reflecting on what it was like to venture away from the comforts of home and the familiarity of the island. The Colorado Youth Pipe Band hosts their annual fundraising ceilidh with plenty of food, fun, drink and dance at the Jefferson Unitarian Church, 14350 W. 32nd Ave. in Golden from 5-9 PM on the 4th with featured guest Angus Mohr. Tickets are available at cypb.net and all proceeds benefit the Colorado Youth Pipe Band. Brian Clancy is at the Jack Quinn Irish Alehouse and Pub in downtown Colorado Springs, each Thursday at 7:30 PM – that’s the 2nd, 9th, 16th and 30th. Marty Smith and Steve Hart have changed the name of their band to “Grateful Dogs”. Steve said “We were unable to bear the pressure of having to live up to Bedlam. No matter how much we tried, we realized that we were just too well-adjusted, and yes, we want both drink and money.” In November you can find them at the Bierwerks Brewery in Woodland Park on the 2nd, 16th and 30th at 7 PM and at Kinfolks in Manitou Springs at 8 PM on the 3rd. CaraTrom (the stage name of Tim Baldwin) is on the Jack Quinn stage in Colorado Springs on the 1st from 6-9 PM and at the Irish Snug in Denver on the 11th from 9 PM -12 AM. Skean Dubh plays at the Muddy Buck in Evergreen at 6 PM on the 3rd, Stella’s Coffee House on South Pearl in Denver at 8 PM on the 4th and at the Laughing Goat in Boulder on the 18th at 9 PM. You have one chance to catch Chancer’s Hooley this month on the 18th at the Blue Spruce Brewery in Centennial from 7:30-9:30 PM. Adam Agee & Jon Sousa present A Christmas Revel’s Fundraiser on the 5th from 3-5 PM at the Elks Club in Boulder. ROCKY BARDS present their Celtic Benefit Concert for the Wounded Warrior Project at 7 PM in the Rialto Theatre in Loveland on the 18th. Tickets are $20 and available in advance at the Box Office or the door the evening of the show. All proceeds go to the Wounded Warrior Project. The Mountain Road Ceili Band will play its last gig on the 17th at The Margarita in Colorado Springs from 6-9 PM, ending a 23-year history of playing all over the state and at The Margarita once a month. The Juice would like your help in their fundraising endeavor: If you would like to contribute to their effort but can’t attend, you can donate money, goods or services. Please contact them at juiceothebarley@yahoo.com if you would like to donate for the silent auction. Indigent Row says that they “…had a blast on the little green island!” Now that they are back, they play at Woods Boss Brewing in Longmont on the 11th from 4-6 PM and Liquid Mechanics Brewing in Lafayette from 8-10 PM on the 14th. The Boys of the Town can be found in the Back Room at Rory’s Tavern, 4th and Broadway in Denver, on the 3rd, 10th 17th and 24th from 7:30-10 PM. 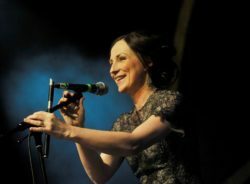 Gaelic singer Julie Fowlis, BBC Award winner and Scottish cultural ambassador, returns to Lakewood Cultural Center with her ensemble of virtuoso players for an evening of song, 7:30 p.m., Friday, Oct. 13. With a career spanning 10 years and four studio albums, Fowlis sings “crystalline” and “intoxicating” vocals that have enchanted audiences around the world. Nominated for Folk Singer of the Year at the 2015 BBC Radio 2 Folk Awards and Best Artist at the Songlines World Music Awards 2015, Fowlis is a warm and engaging live performer who has graced stages around the world from village halls in the Highlands to concert halls in New York, The Philharmonie de Paris and Shakespeare’s Globe in London. She has collaborated, recorded and performed with artists such as violin virtuoso Nicola Benedetti and acclaimed singers Aled Jones, Mary Chapin Carpenter and Grammy-Award winner James Taylor. Fowlis will forever be remembered for lending her sweet singing voice to “Brave,” Disney Pixar’s Oscar, Golden Globe and BAFTA winning animated film set in the ancient highlands of Scotland. Julie and her band won Folk Act of the Year at the 2014 Scots Trad Music Awards, and she later made history as the first Gaelic solo artist to win a Scottish Music Award in December 2014. The 2017-2018 Lakewood Cultural Center Presents season is generously supported by the Scientific and Cultural Facilities District (SCFD), with appreciation to the members of the Scientific and Cultural Facilities District, and Denver Post Community, which improve and enrich the lives of those in our community. 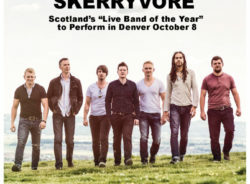 Skerryvore, an award-winning band from Scotland, will perform at The Soiled Dove, 7401 E. 1st Ave, on Sunday, October 8th at 3:00 p.m. (No worries Broncos fans, it’s the team bye week so no game). This event is open to patrons of all ages (under 21 must be accompanied by parent or legal guardian). Tickets are $20.00-$25.00. For more information call 303-830-9214 or visit http://www.tavernhg.com/soiled-dove. Hailing from the island of Tiree, Skerryvore (pronounced Sker-ee-vore) formed in 2005 and includes brothers Daniel Gillespie (accordion) and Martin Gillespie (bagpipes, whistles & accordion), Fraser West (drums & vocals), Alec Dalglish (lead vocals & guitar), Craig Espie (fiddles), Alan Scobie (keyboards), Jodie Bremaneson (bass) and recent addition Scott Wood (bagpipes). The band took their name after the at www.SoiledDove.com or 303-830-9214 lighthouse that sits on a remote reef of the same name off of Tiree; it is the tallest in Scotland. The band entered 2017 having, once again, been recognized as the “Live Act of the Year 2016” at the Scottish Traditional Music Awards. Skerryvore has released 6 albums, selling close to 60,000 physical CDs and well over a million streams. 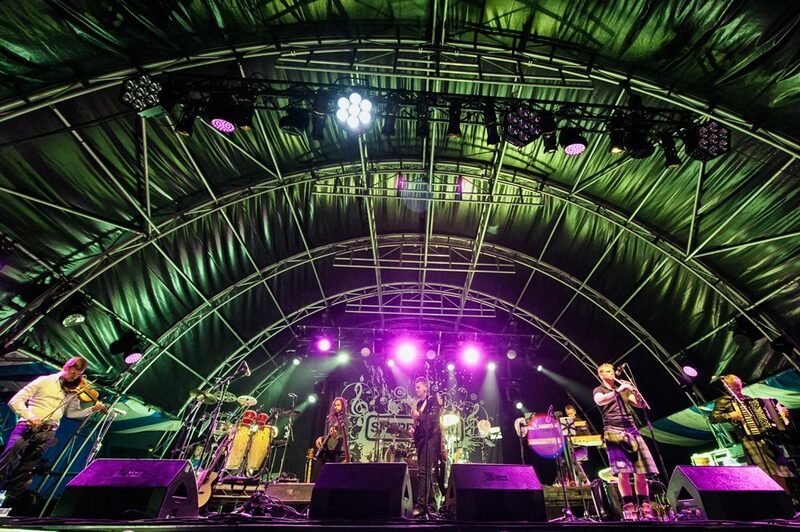 Their most recent release was 2015’s Decade, a mix of live recordings, live studio sessions and the single “Happy to be Home” featuring the legendary Irish musician, Sharon Shannon. “Happy To Be Home” topped the iTunes World Music Charts in May of 2015. When not touring the different corners of the globe, the band performs relentlessly, contributing to projects by Live Music Now (LMN), The Royal Blind School, Artlink Central and HMP Cornton Vale, as well as special needs and mainstream schools throughout the UK. They were also recently featured in a Visit Scotland TV commercial aimed at international audiences. 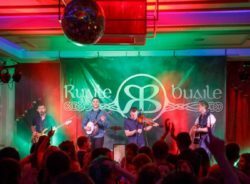 Skerryvore is currently putting the finishing touches on a new studio album, which they hope to release in conjunction with their 2018 U.S. tour. The Rocky Mountain Fiddle Club presents their Fall Festival at The Old Gallery in Allenspark, CO on the 21st from 10 AM – 9 PM. www.theoldgallery.org Located on the eastern edge of Rocky Mountain National Park, classes in Klezmer, Texas fiddle, singing, Scottish and Cape Breton fiddle tunes, drumming, and more will be offered along with informal sessions, acapella singing and a community dance. All activities are free to Fiddle Club members. Nonmembers pay $6 per class and $10 for the dance or $25 for all classes and the dance. After 14 years, the Potcheen Folk Band is sailing into the sunset. Founder Christian Blochinger is moving on the band’s bus to New Jersey to help his father build a home on family land there and with help from the Mickey Finn’s/Prodigals’ bassist recruit more talent and reform the band there. Their last Colorado shows will be at Reserve Casino in Central City on the 13th and 14th. Angus Mohr celebrates Irish Oktoberfest at 8 PM on the 14th at the Odyssey Beerwerks in Arvada, 5535 W. 56th Ave. on the 14th. And in an inspired pairing, the band joins with the Colorado Youth Pipe Band for a fundraiser on November 4th from 5-9 PM at the Jefferson Unitarian Church, 14350 W. 32nd Ave. in Golden. Tickets are available at www.cypb.net and all proceeds benefit the Colorado Youth Pipe Band. on the 20th at 8 PM. Chancers Hooley provides happy hour sounds for the patrons of Strange Craft Beer Company, 1330 Zuni St., Unit M, Denver on the 7th at 6 PM. Jon Sousa, Rebecca Waterhouse, & Guillaume Gaullier present a Breton Dance workshop and performance at CSU, Ft. Collins on the 14th from 2-4 PM. Email switchbladesousa@gmail.com for more info. Adam Agee & Jon Sousa play a House Concert in Erie at 6:30 PM on the 15th and a House concert and Workshops in Colorado Springs on the 19th, at the Healthy Rhythms Art Gallery, 68 S Grand Ave – Montrose, CO on the 20th (Doors open at 6:30 PM, show starts at 7), a House Concert in Paonia, CO on the 21st, a show in the renowned GiG Performance Space on the 25th in Santa Fe, NM at 7:30 PM (tickets $20) and in the Francisco Crossing on the 29th in La Veta, CO at 4:30 pm – tickets $12. Contact hello@adamageejonsousa.com for more details on any of the above. Lakewood Cultural Center Presents Julie Fowlis: Music of the Scottish Isles at 7:30 PM on the 13th. Fowlis will forever be remembered for lending her sweet singing voice to “Brave,” Disney Pixar’s Oscar, Golden Globe and BAFTA winning animated film set in the ancient highlands of Scotland. Julie and her band won Folk Act of the Year at the 2014 Scots Trad Music Awards, and she later made history as the first Gaelic solo artist to win a Scottish Music Award in December 2014. Tickets start at $20 and are available at 303-987-7845, Lakewood.org/LCCPresents or the Lakewood Cultural Center Box Office, 470 S. Allison Parkway (Wadsworth and West Alameda Avenue). Avourneen is in New Mexico on the 7th to play at 7 PM for the Albuquerque Contra Dance, Albuquerque Square Dance Center, 4915 Hawkins St NE, Albuquerque, NM. Admission starts at $9. Adam Goldstein does his solo Irish song and guitar act at the Clocktower Cabaret on Denver’s 16th Street Mall at 11 PM on the 28th. You can sample some Wild Mountain greengrass on the 14th at Clancy’s Irish Pub on W. 38th Ave. in Wheat Ridge from 7:30 – 10:30 PM, on the 21st at The Roost in Longmont from 8:30 – 11 PM or on the 28th at Kline’s Beer Hall in Arvada from 8 – 11 PM. Brian Clancy occupies his usual seat at Jack Quinn Pub and Alehouse in Downtown Colorado Springs on the 5th, 12th, 19th and 26th at 7:30 PM. The Bedlam Boys play for a house concert in the Gold Hills Theatre in Woodland Park on the 8th from 2:30-4 PM and at Jack Quinn’s in Colo Springs on the 21st at 8 PM. CaraTrom – the stage name of Tim Baldwin – will be playing his blend of Irish, bluegrass, and Americana music at The Public House in Colorado Springs on Saturday, October 21, from 9 to midnight. 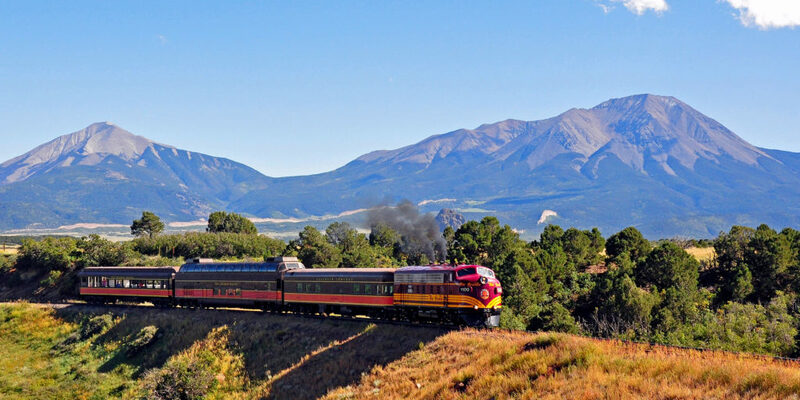 Hundreds, maybe thousands of years ago, Spanish Peaks Country became an intersection of cultures and traditions. Indigenous natives, Spanish explorers, mountain men, traders, work seekers, and homesteaders migrated from foreign lands to hunt, mine, farm, and survive in the region. Over time folks began to gather together in places they named La Veta, La Plaza de los Leones (now known as Walsenburg), Gardner, and Cuchara. This melting pot of people of were brought together by shared stories, music, song, and dance. 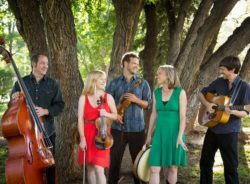 Spanish Peaks International Celtic Music Festival (SPICMF) has been perpetuating these customs during the last full weekend of September for over a decade. It has been a preferred place to meet with others who share a passion for the various sounds from Celtic cultures that have been often separated by time, miles, and local traditions. Musicians have come from Ireland, Scotland, Canada, France, Italy, Germany, and Spain to teach and perform. In the process, musical connections have been made and enjoyed not just through regional representations but also from spotlighting connecting genres from Jazz to Americana. The folks behind SPICMF will again bring some of the best musicians in the world to perform, teach, inspire, and experience the magic of Spanish Peaks Country September 21-24. Included in this years awesome gathering of talent includes Old Blind Dogs, The Screaming Orphans, Kevin Burke, Paddy Keenan, The Hydes with Tadgh O’Meachair, Ed Miller, Robbie O’Connell, Mairtin de Cogain, Arlene Patterson, John Crumlin, David Migoya, , Dirk Mewes, Tanya Perkins, David and Debbie Kolacny, Jim Remington, Ben Miller and Anita MacDonald, Timothy Cummings and in performance and tutoring in Harp Retreat, Uillean Pipe Retreat, workshops, seminars, story-telling, concerts, incredible music and cráic, demonstrations, classes, singing, sessions, céilidh, and the Annual Rocky Mountain Celtic Radio Summit. Festival-goers will come from near and far to listen, learn, sing, dance, and celebrate. The events of the days ahead are designed for all levels of interest and budgets (some events are free) and are offered in a relaxed environment in beautiful southcentral Colorado. SPICMF encourages you to be open to the unique festival opportunities – whether you just want to dip in a toe or immerse your whole being, this is your weekend. Enjoy! Brian Clancy continues to be a fixture at the Jack Quinn Alehouse and Pub in downtown Colorado Springs on Thursdays at 7:30 PM. You’ll find him ensconced on the seat of honor on the 7th, 21st and 28th. You’ll also find him there on the 14th accompanied by Irish Row playing for the Annual Firefighter’s Memorial at 7:30 PM. The McDeviants play for the City of Northglenn Pirate Fest Pirates’ Ball on the 15th from 5:30-7:30 PM then head home to play at the Jack Quinn Alehouse and Pub in downtown Colorado Springs on the 16th from 8:30-12:30 PM for Firefighters’ Weekend. The lovely and talented Bedlam Boys play at Jack Quinn on the 1st at 8 PM, at the Alchemy Pub in Colorado Springs at 9 PM on the 2nd and trek up to the Paradox Beer Company in Divide for a 3 PM gig on the 10th. Chancers Hooley hits the stage on the 2nd at the Blue Spruce Brewery in Centennial from 7:30-9:30 PM then plays at the City of Northglenn Pirate Fest in EB Rains Jr. Memorial Park on the 16th from 11:30-2 PM. Park on the 16th from 5-7 PM. PM then entertains the patrons at the Celtic House Pub in Parker on the 8th from 6 -9 PM. Avourneen hits the road for gigs at the Dubliner Pub in Omaha at 9:30 PM on the 1st and 2nd. $5 admission at the door. They return for a paired show at the new Celtic on Market in LoDo with Professor Phelyx featuring music, comedy and magic at 7 PM on the 9th. Tickets start at $15. On the 16th, you’ll find them playing for the Pikes Peak Traditional Dance at 7 PM at All About Dance, 2318 Vickers Drive in Colorado Springs. Admission starts at $8. They return to Colorado Springs on the 30th for a 9 PM show at Jack Quinn Alehouse and Pub in downtown Colorado Springs. Free admission. Adam will present a solo Irish music show at 11 PM in the Clocktower Cabaret, 16th and Arapahoe in downtown Denver at 11 PM. Potcheen has a busy month beginning with a headlining show for the Taste of Colorado in Civic Center Park, downtown Denver from 8-9:30 PM on the 1st, a 9 PM set at the Jack Quinn Alehouse and Pub in Colorado Springs on the 2nd and a 2-6 PM marathon at Cactus Jack’s in Evergreen on the 3rd. At least they get two weeks off before their next gig at the Lazy Dog in Boulder on the 15th at 5 PM followed by a 2 PM appearance at the City of Northglenn Pirate Fest in the Park on the 16th. They close out the month with shows in the Lava Room of the Reserve Casino Hotel in Central City at 8 PM on the 22nd and 7 PM on the 23rd. The Mountain Road Ceili Band is at The Margarita in Colorado Springs at 6 PM on the 15th and plays until the movie starts on the patio at dark, around 8:30. Members of the Rocky Mountain Fiddle Club play at Wyatt’s Wet Goods in Longmont from 1-3 PM on the 30th. You’ll be sure to hear a tune or two from Take Down the Door’s new CD “Live in Lyons” at their Old Town House Concert in Ft. Collins at 6:30 PM on the 8th and at St. Brigit Celtic Festival in Frederick on the 30th at 2 PM. More info at www.takedownthedoor.com . Angus Mohr is at their usual spot on the stage in Lonigan’s in Estes Park at 9 PM on the 8th then moves to the Pirates Ball stage in Northglenn on the 15th at 8 PM and closes out the month at the St. Brigit Celtic Fest on the 30th at 4:30 PM. Longs Peak Scottish Irish Highland Festival ,September 7-10,Fairgrounds and other venues, Estes Park, CO with Albannach, Runa, The Outside Track, Ed Miller, Drops of Green, The Angry Brians, Seamus Kennedy, The Singing Pilgrims, Matthew Gurnsey, pipe bands and Highland Dance and Pipe Band Competitions, Irish Dance, Scottish Heavy Athletics, Military Tattoo, Country Dance, workshops, seminars and story-telling, clan tents, lots of merchandise, dogs of the British Isles, military heritage, Guinness and full contact jousting. Spanish Peaks International Celtic Music Festival, September 24th-27th ,La Veta, Walsenburg, and other venues in, Huerfano County, CO. With the Old Blind Dogs, The Screaming Orphans, Kevin Burke, The Hydes with Tadgh O’Meachair, Ed Miller, Mairtin de Cogain, Arlene Patterson, John Crumlin, David Migoya, Paddy Keenan, Dirk Mewes, Tanya Perkins, David and Debbie Kolacny, Jim Remington, Ben Miller and Anita MacDonald, Timothy Cummings and Robbie O’Connell in performance and tutoring also Harp Retreat, Uillean Pipe Retreat, workshops, seminars, story-telling, concerts, incredible music and cráic, demonstrations, classes, singing, sessions, céilidh, lots of grand fellowship and the Annual Rocky Mountain Celtic Radio Summit. Legendary uillean piper Paddy Keenan to teach at Spanish Peaks Celtic Fest/Pipping Retreat. Paddy Keenan is an Irish player of the uilleann pipes who first gained fame as a founding member of The Bothy Band. Since that group’s dissolution in the late 1970s, Keenan has continued to delight fans with a number of solo and collaborative recordings, and live tours as a soloist, and with other musicians. 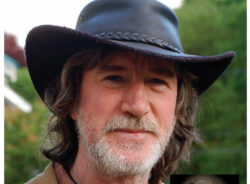 If you want to hear Paddy perform/teach, he will be in Colorado at the Spanish Peaks International Celtic Music Festival September 21-24 in La Veta/Walsenburg area, Colorado – Check www.celticmusicfest.com if you want his schedule for the fest. When Jeff Hurlburt and his partners bought Clancy’s Irish Pub, he had no idea where the venture would lead him. Clancy’s, now the oldest and longest running Irish Pub in Colorado, was founded in Wheat Ridge in 1973 by Bob Murray. In July 2010, after much discussion and his partners at the time decided to purchase the venue and they opened in October of that year. For Jeff, who grew up in Wheat Ridge and has been in the restaurant business his whole career, buying an Irish Pub was a bit daunting. He didn’t know much about Irish culture and wasn’t sure what he could bring to the table, but when he told his mother what was he was up to, she said, “Well that’s perfect since your great, great grandmother emigrated from Ireland,” something Jeff hadn’t known. When Jeff and his partners took over Clancy’s at its original location, it had been closed for eight months due to a fire. The first year trying to connect with the original customers was challenging; they tried to focus on good food and service, but Jeff felt there was something missing. Then Ernie Perry, an Irish session musician, approached him about hosting a session on the west side. Jeff liked that idea because he felt it would bring cultural authenticity, something that had been lost over the years. At that point, Jeff made a commitment to intentionally honor Bob Murray’s original mission of being a “local Irish pub.” Before they closed on Kipling, Tuesday nights, when they hosted the session, were one of the busiest nights of the week. 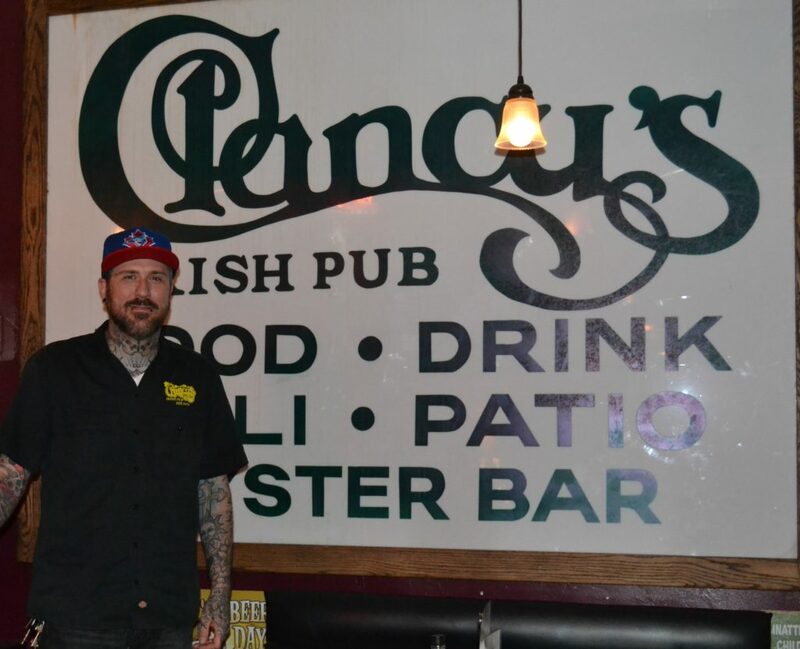 He wants Clancy’s to be seen as a traditional Irish pub: a communal place that is home to graduations, meetings, holiday parties, etc. and encourages people, especially with Celtic connections, to feel like it is home. This August 26 and 27 Clancy’s will make many Celtic connections hosting its first Celtic festival. Jeff had been approached before about hosting a festival and he didn’t feel they were ready. But when Phil Coombs, a local musician and participant in the Tuesday night sessions, approached him to host one in August, the time was right. There has already been a great deal of support for the event in August, and Jeff says he is honored that people are willing to support Clancy’s, which he hopes will be seen as a center for the Irish/Celtic community. With the First Annual Clancy’s Celtic Festival, they may well be on their way. Potcheen kicks off their August with a concert in Homestead Park on E. Florida in Aurora for the Murphy Creek folks on the 13th at 5 PM then closes out the month in the Golden Speakeasy in Miner’s Alley on the 26th at 8 PM. The Mountain Road Ceili Band is continuing its 22nd year at The Margarita at Pine Creek in Colorado Springs on the 18th at 6:00 PM outdoors on the patio bar. Chancer’s Hooley plays at the Blue Spruce Brewery in Centennial on the 4th from 7:30-9:30 PM. Celtica, a progressive multi-instrument band from Indiana, presents an over-21 show on the 11th at 9 PM in Nixon’s Smoke House BBQ Brews and Live Music, 6520 S. College, Ft. Collins. Avourneen plays at Ned Kelly’s at 9 PM on the 26th and at the Clancy’s Celtic Festival on the 27th, time TBD. Adam Goldstein is at the Clocktower playing on the 5th, 12th and 10th at 11 PM. Wild Mountain is on stage at Clancy’s Irish Pub in Wheat Ridge on the 11th at 7:30 PM and the 27th from 4-6 PM, the Carnation Festival in Wheat Ridge on the 12th, time TBD and the Barklay Ballroom in Frisco at 9 PM on the 25th. The fabulous Bedlam Boys play at Jack Quinn Irish Alehouse and Pub on the 12th from 8 PM to Midnight and return for a gig there on September 1st at PM. 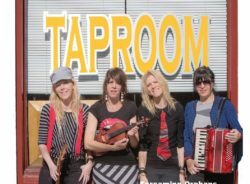 They can also be found (playing, not drinking) in the Bierwerks Brewery in Woodland Park most Thursdays. 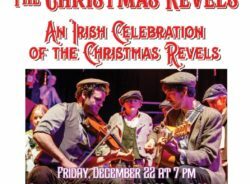 They report that their show at the Colorado Irish Festival played to a packed house that gave them a standing ovation wanted an encore. The Juice O’the Barley plays at 8 PM on the 5th in the Jack Quinn Irish Alehouse and Pub in Colorado Springs and will play on a date/time TBD at the Clancy’s Celtic Festival. The Juice also released a new CD at last month’s Colorado Irish Festival, copies of which will be available for sale at their gigs with a digital release forthcoming soon. Stay tuned. After the closings of Fado and Katie Mullen’s, Clancy’s Irish Pub in Wheat Ridge is now the largest pub in Colorado – and to help fill the void left by the demise of the Celtic Harvest Festival Edgewater, Clancy’s is presenting its first Celtic Festival on the 26th and 27th. Bands will play, step dancers from the Wick School of Irish Dance will dance inside and there will be Celtic-themed vendor and clan booths in their large parking lot outside. 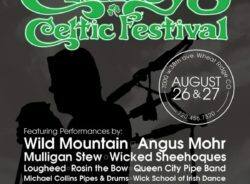 Bands booked at press time include Wild Mountain, Angus Mohr, Lougheed, Avourneen, Wicked Sheehogues, Rosin the Bow, Juice O’the Barley, Mulligan Stew and the Queen City and Michael Collins Pipe Bands. Free admission, hours 10-6 on the 26th, 11-6 on the 27th. 7000 W 38th Ave, Wheat Ridge, CO 80033, 720.456.7320. We Banjo 3 from County Galway presents their “Celtgrass” fusion of fiddle, mandolin, guitar and banjo at the Four Corners Folk Festival in Pagosa Springs on Sept. 3rd. Mulligan Stew plays from 3-7 PM at In The Zone Sports Bar, 44th and McIntyre in Golden on the 13th and the 27th at Clancy’s Celtic Festival, time TBD. Celtic Chaos is in the house at the Celtic House Pub in on Lincoln Ave. in Parker on the 11th from 6-9 PM. CaraTrom, a Gaelic word that means “bold friend”, is the stage name of Tim Baldwin. 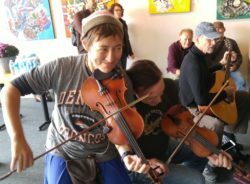 CaraTrom plays at the Carbon Cafe & Bar on the 5th from 6-9 PM, the Stapleton Farmers Market on the 6th from 8:30 AM – 12:30 PM, the Laughing Goat Coffee House in Boulder on the 10th from 8-9 PM, the Dickens Opera House in Longmont on the 18th from 5:30-8:30 PM and the Louisville Farmers Market on the 19th from 9-11 AM. Tartan Up! The Highest Scottish Festival in the World is Coming to Snowmass Village! Get your kilt on and enjoy a Celtic weekend as the Colorado Scottish Festival returns to Snowmass Village, Aug. 4-6, 2017. At 8,209 feet of elevation, the Festival is believed to be the highest Celtic festival in the world — and it’s both dog-friendly and kid-friendly! It warms my Celtic heart that the Festival is also free — with free admission, free parking, free shuttles, a free concert, and a free Saturday night Ceilidh (Scottish party)! I hope to learn more about my Celtic ancestors at the Genealogy/Family History tent this year. Maybe I’ll even find a cousin among the colorful clans. And being something of a history nut, I really can’t wait to get up to the Renaissance Scots’ Living History Village, where the Scots will have nonstop interactive craft activities and where kids of all ages can experience what life was like in Scotland in the years before Culloden. At noon each day I’m going to be at the ceremonies to see the Parade of the Clans, and watch as the massed bands all march and play together. Right after the noon ceremonies on Saturday, you’ll find me at one of the Festival’s favorite events – the Bonnie (Pretty) Knees Contest. It’s a hoot to watch kilted gentlemen bravely expose their manly knees for judging by the Ladies of the Festival — to the considerable amusement of the audience. 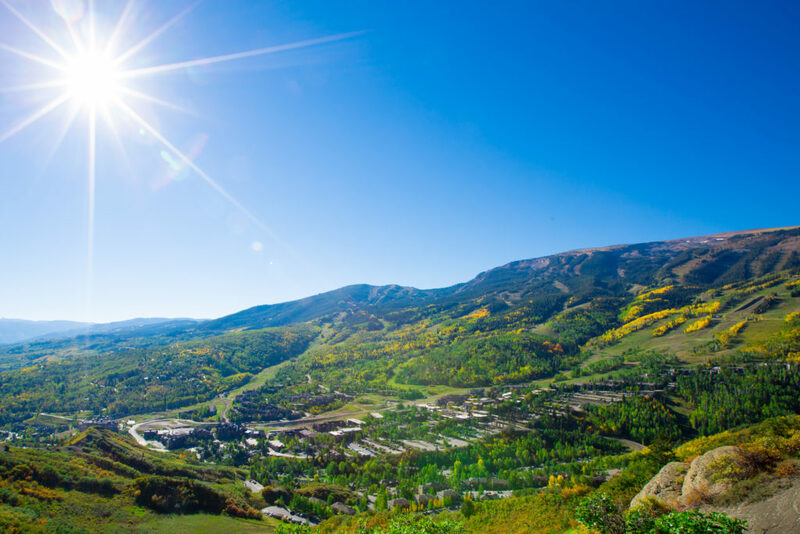 On Sunday morning, I’ll attend the Scottish Kirkin of the Tartans; there’s something very special about attending a church service in Snowmass’ cool, clean sunshine. I want the very best of the Festival, so I’ve already joined the Festival’s Thistle Club, which includes an exclusive Whisky-Tasting for Club members. There are other Whisky-Tastings for the public on Saturday and Sunday. If I were you, I’d get tickets soon to one of them. They’re very popular and sell out quickly. Anyone like me who has ever delighted in a Tasting with the fun, funny and amazing Buz Dabkowski wants to come back time and time again. With those Tastings in mind, I think this year’s Colorado Scottish Festival may be the “highest” Scottish Festival in more ways than one! Snowmass Village summerSusan Thornton has attended the Colorado Scottish Festival for 34 of its 54 years. For more information about the Festival and best lodging rates, visit www.ScottishGames.org. This July, Denver will be the host for a very exciting and highly anticipated Irish sporting event. 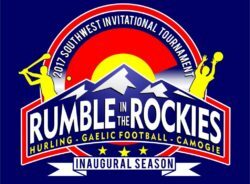 Rumble in the Rockies is the inaugural United States Gaelic Athletic Association (USGAA), Southwest Division Invitational Tournament for the sports of Gaelic Football, Hurling and Camogie (Ladies Hurling). Serving as one of the premier annual tournaments in the nation, it will play host to over 400 adult men/women players representing 20 clubs from California to New Orleans, including; San Diego N Fianna, San Francisco Eire OG, LA Wild Geese, Flagstaff Mountain Hounds, Culiver City Cougar and the Houston Gaels. he location will be at Lowry Sports Complex on July 22nd and 23rd, Rumble in the Rockies will feature three beautiful regulation pitches (135 yards x 85 yards); a youth discovery zone with games, instructions and demonstrations by seasoned players from Ireland; one of the top up-and-coming hurly makers from Ireland, Martin Hurls; an entertainment filled tournament ceremony, and a plethora of vendors and food trucks. Additionally, there will be plenty of parties surrounding the tournament, including a team welcoming party at Breckenridge Brewery the evening of Friday, July 21st, a tournament party at Irish Rover the evening of Saturday, July 22nd and an after party hosted by Regulators Hurling at Inga’s Alpine Tavern the afternoon of Sunday July 23rd. Sponsored by Jameson Irish Whiskey and Breckenridge Brewery, parties will feature food and drink specials, door prizes and entertainment.